You are here: Home / Freelancing / How Computer Science (Or IT) Engineering Students Become Freelancers? I am an engineering student I want to become a freelancer but don’t know where to start. What languages are necessary to learn and how to get projects. Being from an engineering background I can relate to your question as well as reminds me of my engineering days when I was starting out. I had no idea what I was doing was called freelancing. I was more interested in doing some real and live projects instead of doing the same old student management system. I created my account in every freelancing site possible back then but settled with RentACoder which is now acquired by Freelancer.com. I was working on homework help type of projects and in the process was making some money. This is when the idea of programming help website struck me and I formed Go4Expert.com. Fast forward to 2017 and freelancing is lot more professional, lot more organized and lot more competitive and there aren’t any homework help type of projects posted. 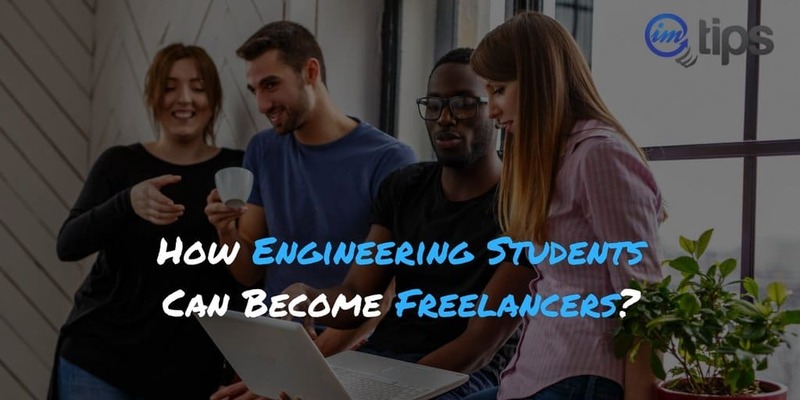 So how new computer science or IT student engineering students become freelancers in 2017? So the process still remains the same but it is more organized and instead of looking around in hundreds of mini freelancing site, you can get started with top freelancing sites and structure your profile in much more professional way. Or any other upcoming technology. 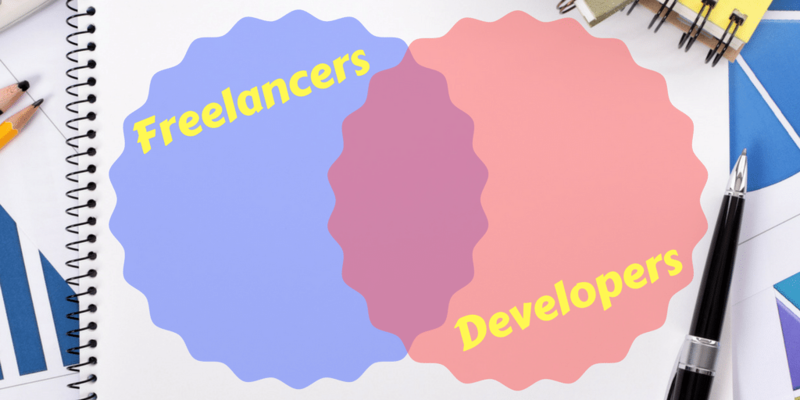 How to get Freelancing Projects? As you learn your choice of programming language, try to create simple yet useful apps in them. Need not be something that has not been created before but focus on usefulness. 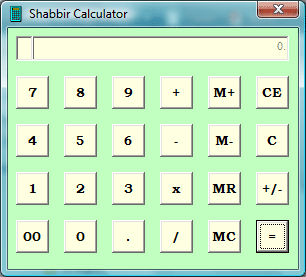 A calculator program is fine. As you get hands-on with the programming, share a solution to issues that comes along to build your expertise in the subject matter. I took all my engineering codes of data structure, linked list etc and shared them on Go4Expert or when I learned Visual Basic 6, I created a simple calculator. I followed a similar approach when I was doing a job. Note: Don’t share anything that is copyright of your employer and I only shared those codes that I developed for my own learning. In 2017, I still follow a similar process. Recently a client job was to move bbPress forum into xenForo, I was stuck because there isn’t any script available that can move the data over. So I created my own script based on bbPress to phpBB script and then shared my script as a resource on xenForo.com. Now I have a client who wants me to get one more such script done for a different CMS. I had a similar approach for vBulletin and WordPress where I share functionality that I see is useful but isn’t available. It helps me serve as a sample to show my expertise in the niche technology to clients. Make a website or a blog and share solution to issues you face. You won’t be the only person to have those issues and it can be a good starting point to build your online reputation. As a developer, you aspire to build a lot of things and trying to build a sample can be a good starting point for your career as a developer. If you choose to be a mobile application developer, try to build something like a flappy birds or if you choose to be a node.js developer, try some samples like Amir Rajan. And the list can go on and one but you get the point of what I mean. Submit your resources to open source and use them as a sample for clients to show your expertise or can consider selling those add-ons. CodeCanyons is a good place to see what is working. If you prefer WordPress, see whats popular in WordPress at CodeCanyons and see if you can develop something better than what is being offered. If you prefer eCommerce, see what works at magento or open cart and come up with a better solution than those available.